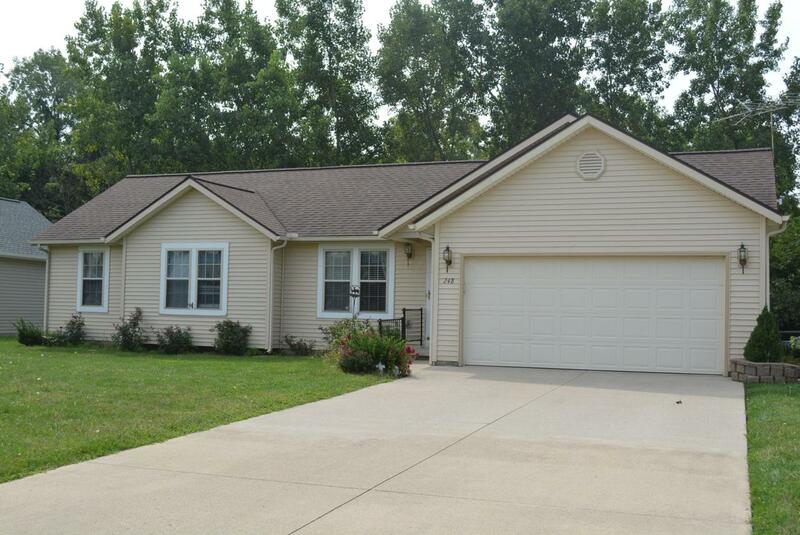 Great Use of Space in this 3 Bedroom 2 bath Ranch. Features New Interior paint, new kitchen flooring, new bath flooring, new microwave/vent hood. Recent pressure washing, wooded rear parcel, living room, Dining Room/Family Room combo opens to kitchen, New Furnace 2016, Roof Replaced 2009, New Water Heater 2016, Free Standing Propane Fireplace, Washer & Dryer stays, Rear Patio and Attached 2 Car garage(with insulated walls and paneled covering). Great Outdoor space featuring Fenced Rear Yard, Raised Gardens, Storage Shed, Spacious City Lot Over 6/10 of an acre and so much more!!! Move right in immediate occupancy! Triad Lsd 1103 Cha Co.